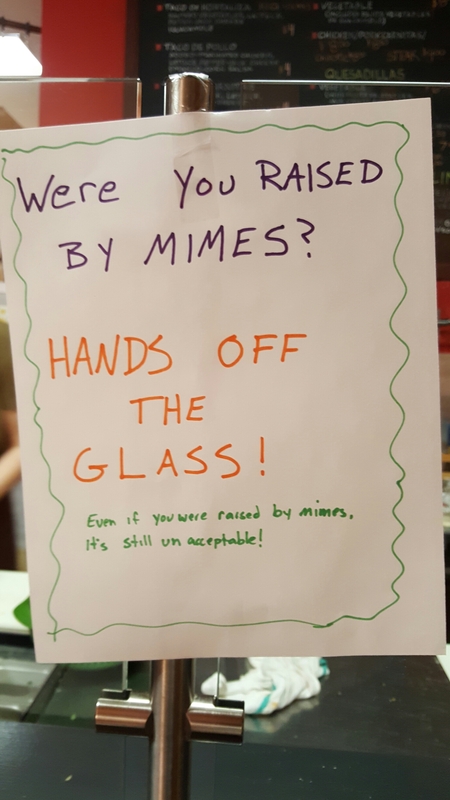 Were you raised by mimes? Keep your hands of the f@cking glass people. Rude! Even if you were raised by mimes, it’s still unacceptable. Touch that glass, and you may be denied the best burrito in Massachusetts. And that would mean… No burrito for you!